The sun is shining and spring has officially sprung in Kelowna. As we look ahead, there’s no shortage of great LGBT2Q+ events coming up. Whether you’re a visitor or a local, these fabulous activities are sure to put a spring in your step! Peak Pride, back for its third year at Big White, is an inclusive ski weekend like no other. This is Canada’s freshest LGBT2Q+ event with entertainment (including amazing local drag queens), parties, a pride parade, and lots of fun on the slopes. It keeps growing every year and that is due to the fact that it is so much fun! Friday night includes a mix and mingle at the Blarney Stone Irish Tavern followed by Gaymes Night at Snowshoe Sam’s. Saturday features the Mountain Pride Parade, Ales and Après, The Peaks Culinary Walk (an amazing and tasty journey through Big White’s Village), and a truly epic party - wipeOUT! California’s DJ DrewG will be headlining wipeOUT, and he is seriously talented. DJ DrewG has produced official remixes for the likes of Madonna, Beyoncé, Blondie, Ed Sheeran, and RuPaul! Legit. Sunday wraps the event with the Fab Farewell Brunch at the Blarney Stone Irish Tavern. Select tickets for Peak Pride at Big White are still available and can be purchased online. Tickets for wipeOUT are $25. The Friday evening events are all by donation and the funds raised go to support LGBT2Q+ youth in our community via Etcetera Youth Kelowna. Peak Pride is a fully inclusive event, open to all in the LGBT2Q+ community and allies. Please note; Peak Pride ticketed events are 19+. 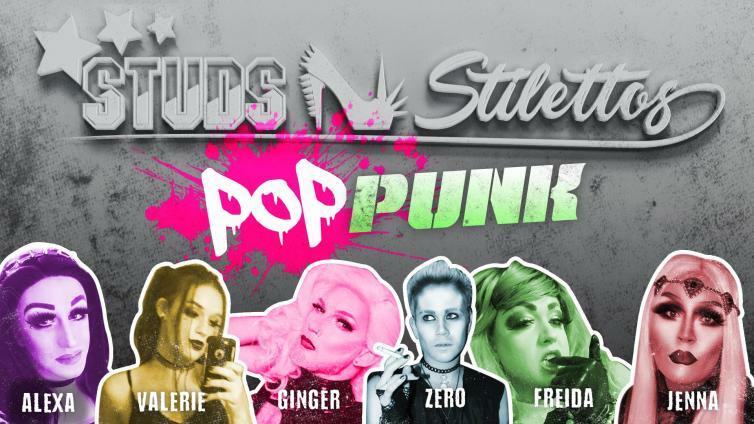 If you’re a fan of drag performances and pop punk from the early 2000s, and come on, let’s be real, who isn’t, then the upcoming Studs N’ Stilettos show at Muninn’s Post (575 Bernard Ave.) is for you! Local queens Alexa Nerezza and Jenna Telz are the organizers behind the event and they intend to make you panic at the disco! In addition to Alexa and Jenna, the show features Freida Whales, Valerie Rose, Ginger Snapp, and ZERØ. There will be two performances (one at 6 p.m. and one at 9 p.m.). Early bird tickets are $15 (available until April 6); advance tickets are $20 (available until noon the day before the show); or $25 at the door. You can purchase tickets here. A little note on tipping your queens; if you attend a drag show, you should be prepared to tip, especially if you sit in the front couple of rows. It’s considered good etiquette. Please note Studs N’ Stilettos is a PG16+ event (mature content, discretion advised). Did you hear the news? On May 11, Tatianna (of RuPaul’s Drag Race fame) is coming to Kelowna for a special, one-night-only, FruitCake performance! This could really be FruitCake: FOMO, as you do not want to miss this sickening queen in action. For those who haven’t been before, FruitCake is a monthly inclusive nightclub party. There will be local queens performing alongside Tatianna. Tati returned to our screens in All Stars 2 to serve more glamour realness, and now she’s ready to werk it in Kelowna! There are a couple of ticket options, but they are going fast… General admission is $35, while the VIP Meet & Greet is $55. You can purchase tickets here. FruitCake: Tatianna is a Rebellious Unicorns production and will be hosted by the sassy combination of Sparkle and Freida Whales. 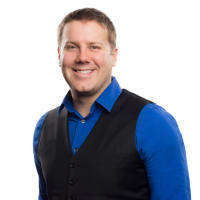 The show is 19+ and is taking place at 275 Leon Ave.
Kelowna Pride has announced a number of exciting changes for 2019. This year, Pride will take place over the period of June 15 to June 22. This will allow local pride celebrations to be a part of the internationally recognized Pride Month. In addition, the Pride Festival is returning to downtown Kelowna’s City Park, which means both the Pride March and festival site will be bigger. 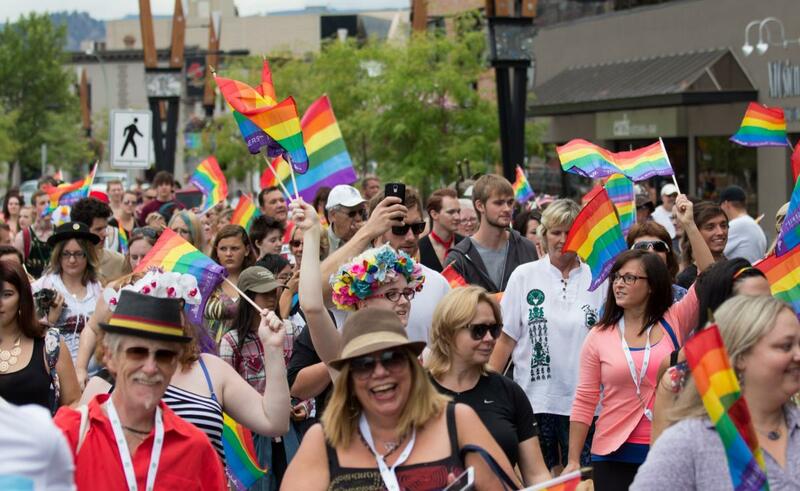 An even bigger and better Pride celebration in Kelowna sounds great to me! More details to come. 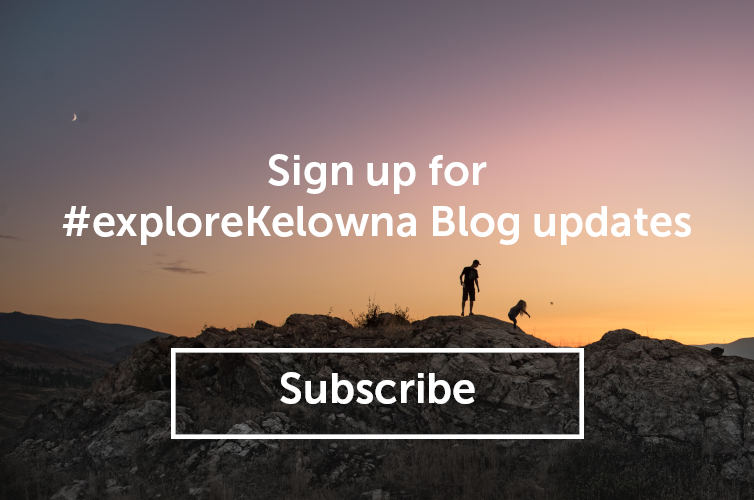 You can stay in the loop by signing up for the Kelowna Pride newsletter. I look forward to seeing you at these great events!